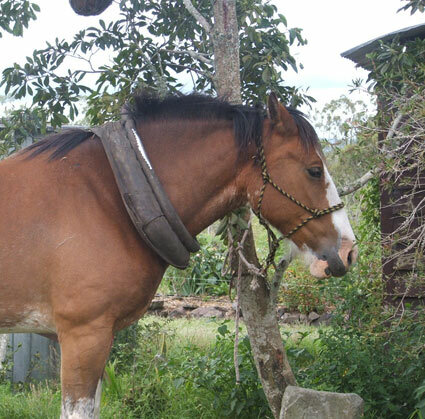 This mare was 7 years old when this picture was taken. This little 19" collar is clearly too small. 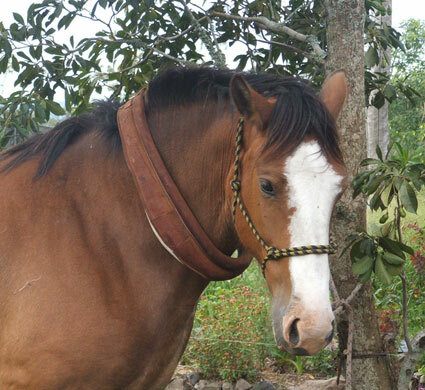 It sits too far up the horse's neck, not down on the shoulder. This 22" collar is a much better fit, but is still a bit tight. 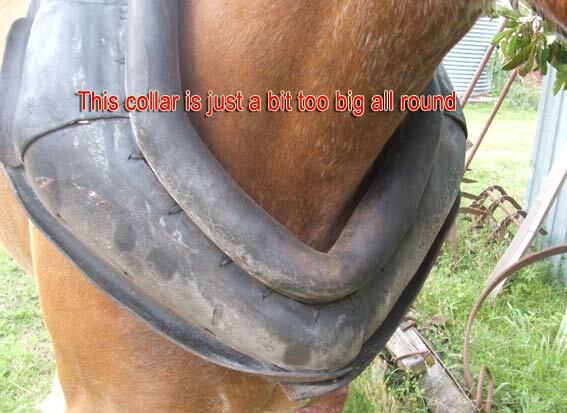 The top of the collar is not really sitting back where it should-it is kicked forwards a bit. The body is not sitting against the shoulder blades or 'collar bed', either. 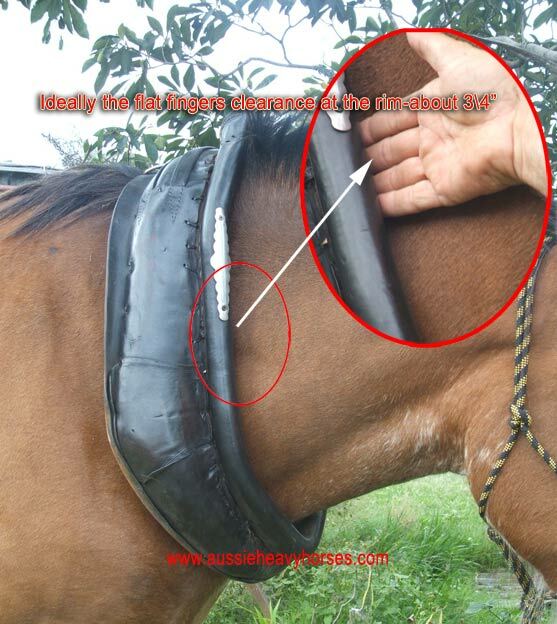 This 23" collar is a much better fit- it is still sititng forwards a little at the top, but under work, it sits properly in place against the shoulder or 'collar bed'..
you should have 2 fingers of clearance at the throat, betweeen the rim of the collar and the horse's windpipe- about 1 3/4" or 4.5cm. 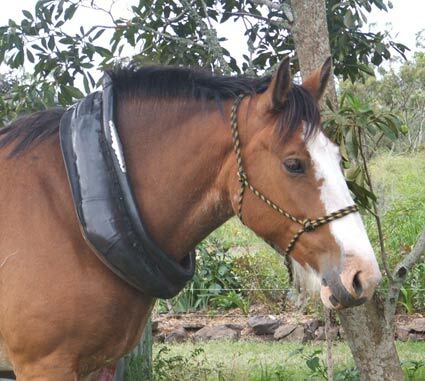 This collar sits back in place properly under load. It is just accidentally sitting a bit forward at the top in this photo. 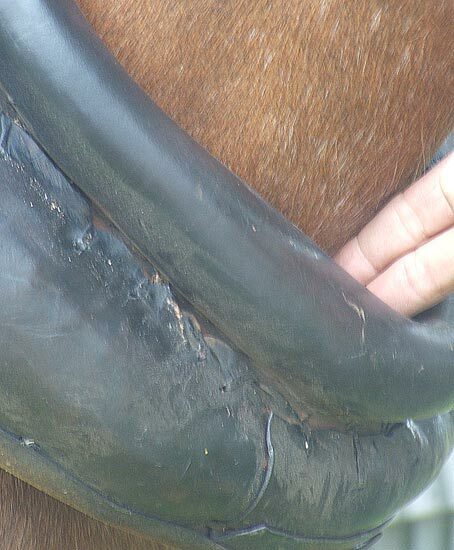 This shows the idea gap-two fingers vertically- between the rim of the collar and the horse's windpipe, when in action. Any bigger a gap is potentially a problem with too much movement, and also too low a point of draught of the hame hooks. This picture shows what is ideal. 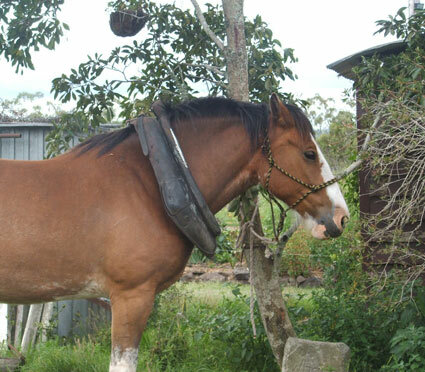 The collar actually looks a tad low or long in the big picture but it sits correctly when in draught. 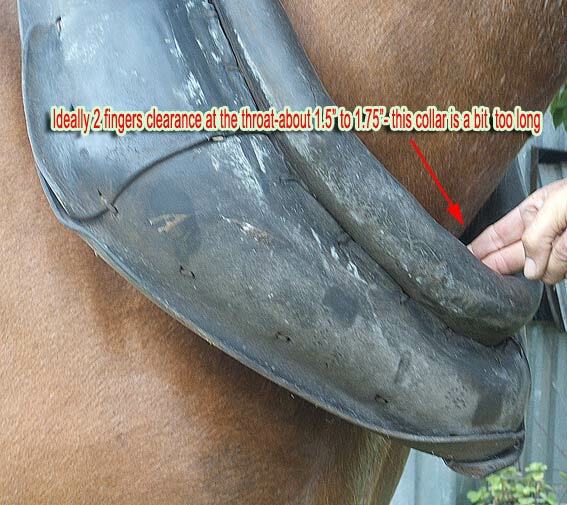 This 24" collar is oversized by quite a bit, as seen below-and just look at the throat of the collar sititng way below the mare's windpipe. 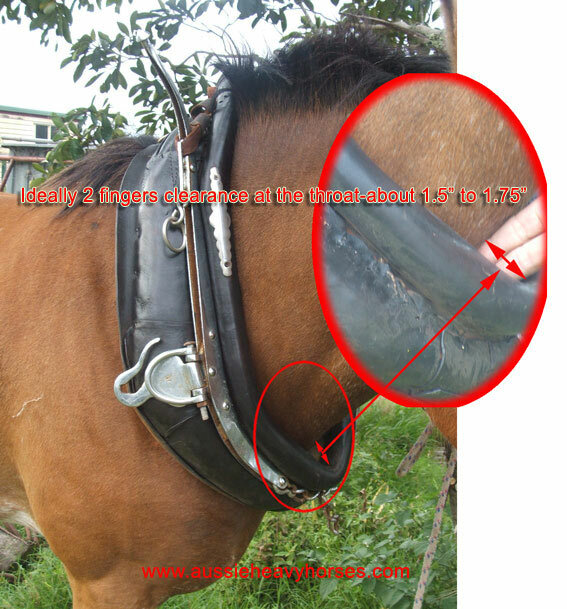 This is considered to be an ideal fit for the piped throat of the collar. It is the 23" collar from the fourth picture from the top. This "Shandy, the last of the Call Leaders" DVD runs for almost an hour, and covers collar fitting quite clearly, amongst many other subjects and unique demonstrations. We sell it for $22.00 inc post. or look further at THIS page of books and other resources in this website. 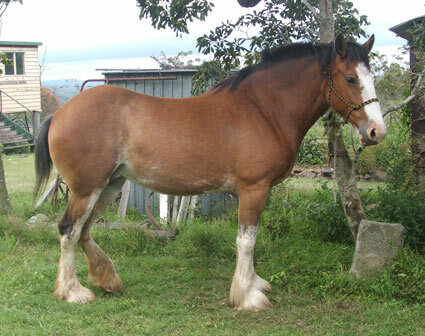 Aussie heavy Horses Website and images copyright.